“Like father, like son” is an often-used expression, yet rare is the term, “Life father, like daughter.” However, we do well to consider the latter saying when viewing the exhibition of a father/daughter team, now being shown together for the first time at the Fine Arts Gallery of Southampton College. Perhaps it is unexpected, therefore, that a survey of their work reveals that the two are far apart, inhabitants of two entirely different aesthetic camps. This is as it should be, for each has been subject to different influences – two different time periods that separate them by nearly half a century. Yet the sensitive searching of the one is reflected in the other. Here they touch base as father and daughter, but maintain their separate identities. 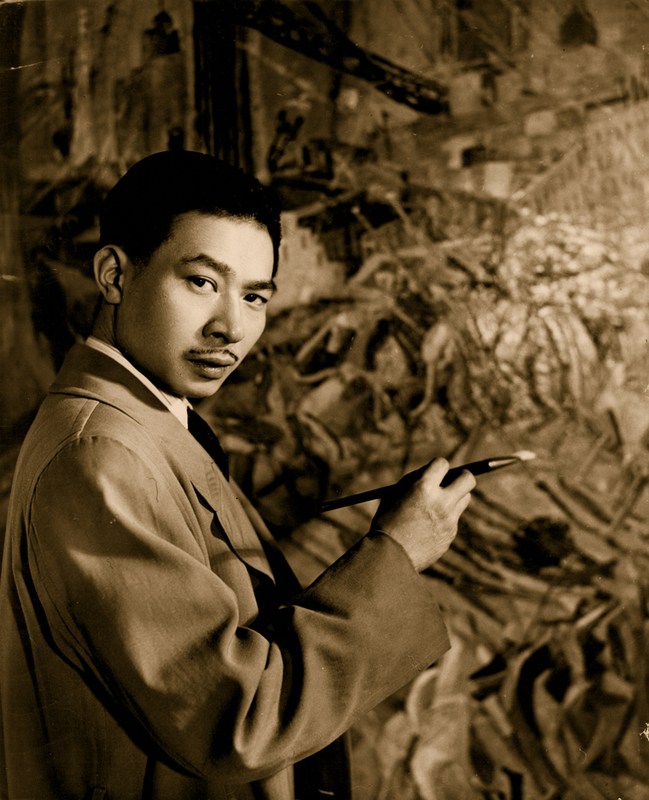 Yun Gee died in 1963, after establishing himself as a leader of early 20th Century avant-garde American art. 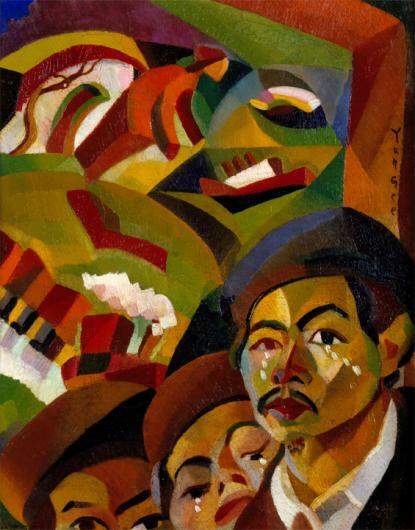 Though he was born and educated in China, his identity was totally Western – insofar as his art reflects the adaptation of a visual language that has its basis in Cubist painting. His biography reveals that he had almost two-dozen solo exhibitions in such locations as New York City; San Francisco; Storrs, Connecticut; Oakland California; and Paris. Group exhibitions in which he participated were held at such distinguished institutions as The Brooklyn Museum, the Metropolitan Museum of Art, the Boston Museum of Fine Arts, The Hirshhorn Museum, and the Salon des Independents, Paris. He executed mural commissions for a Chinese Public School in New York City, for St. Peter’s Church in the Bronx and the China Club in New York. Yun Gee’s nine paintings are uniform statements in the same genre, indicative of his adoption and adaptation of Cubism, filtered through his own vision and made unique, just as one’s unmistakable handwriting puts its stamp on, no matter what theme, subject, or language. 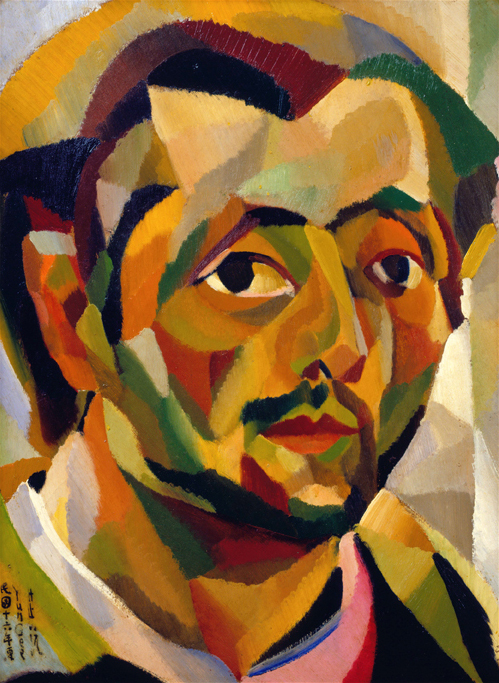 Here, the intellectual language of fragmented planes – the hallmark of Cubism – is adjusted for personal vision and emphasis, in depicting close-up head studies, series of small heads, a street scene, or a landscape. One must remember that this is art of the past – the ‘20s in particular – a time of innovation and revolution in art. Cubism, especially, offered the artist the opportunity to explore realistic imagery in non-realistic terms. For instance, Yun Gee’s Head of a Man, so simply titled, is a striking, strong oil on paper study. The head takes up the entire 20-by-15 canvas. Divisions of warm colors – planes of which it is comprised – orbit on a central axis. The eyes of the subject, however, have a complete and penetrating quality that fix one’s attention. 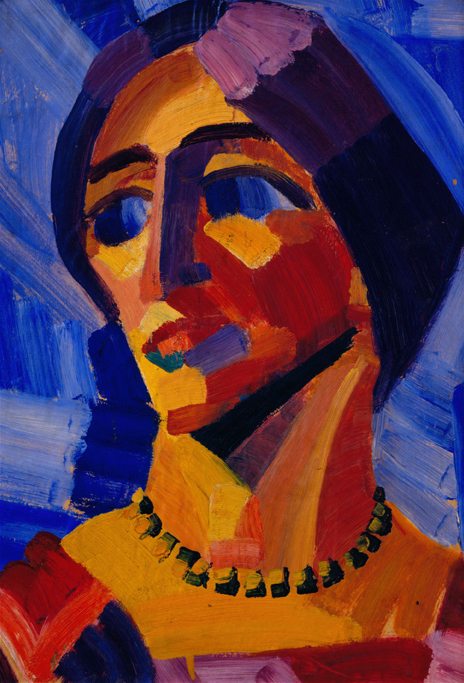 Another head study titled “Head of Woman with Necklace” combines variations of warm colors – yellows, reds, oranges – with various blue/violet passages in eyes, hair, and background. Even human tears are translated into planes of color in the unusual study titled Where is My Mother? an oil on canvas, dated 1926-27. The heads of three children in the lower right-hand corner of the composition seem compressed and overpowered by an arrangement of abstract planes. It is paradoxical that Li-lan’s paintings seem more [Asian] than her father’s. This is intriguing. One would expect that Li-lan would be more “Westernized,” having been exposed more totally to Western influences. However, this assumption is contradicted by her “visual codings.” Imagery is treated in flat, simplified terms. A sense of two-dimensional space dominates, and the all-over effect is decoratively flat, perhaps like Chinese calligraphy, though less direct, and more like scroll painting, through lacking in complex, multi-spatial levels. In contrast to her father, she is not interested in narration, does not get involved with people or places. 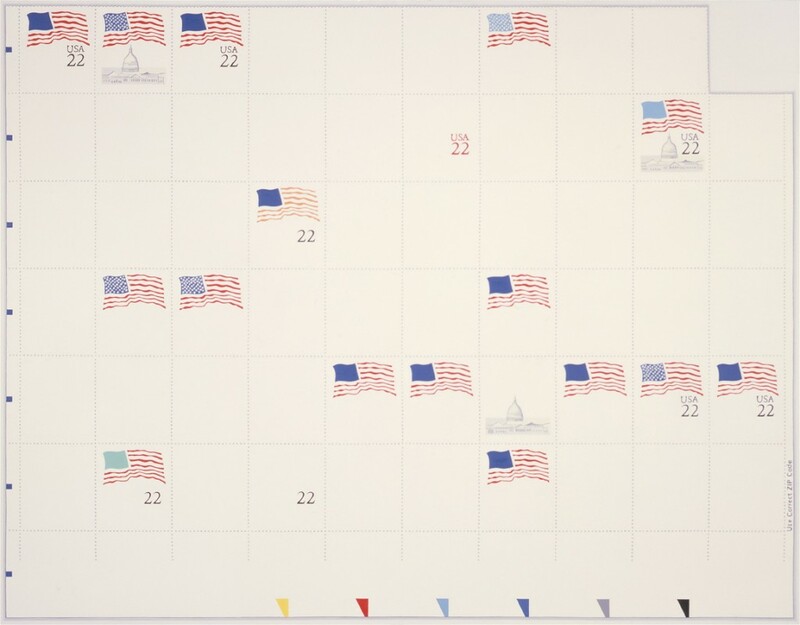 Her concern is with symbols from the mundane business world, and the current show is limited to postage stamp motifs. Neither is the language the same. There is no hint of Cubism. 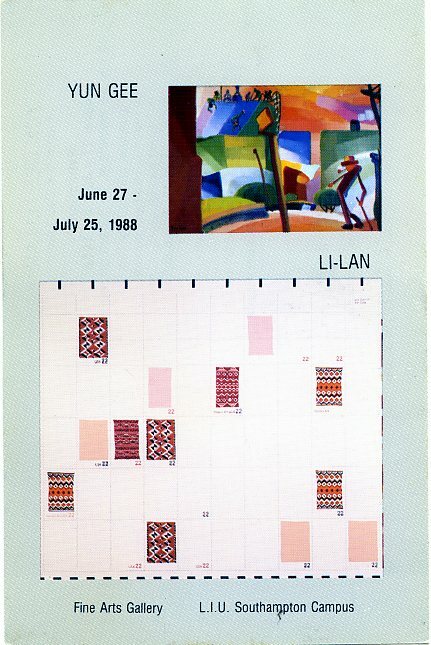 Instead, Li-lan works with a single image, such as a postage stamp. 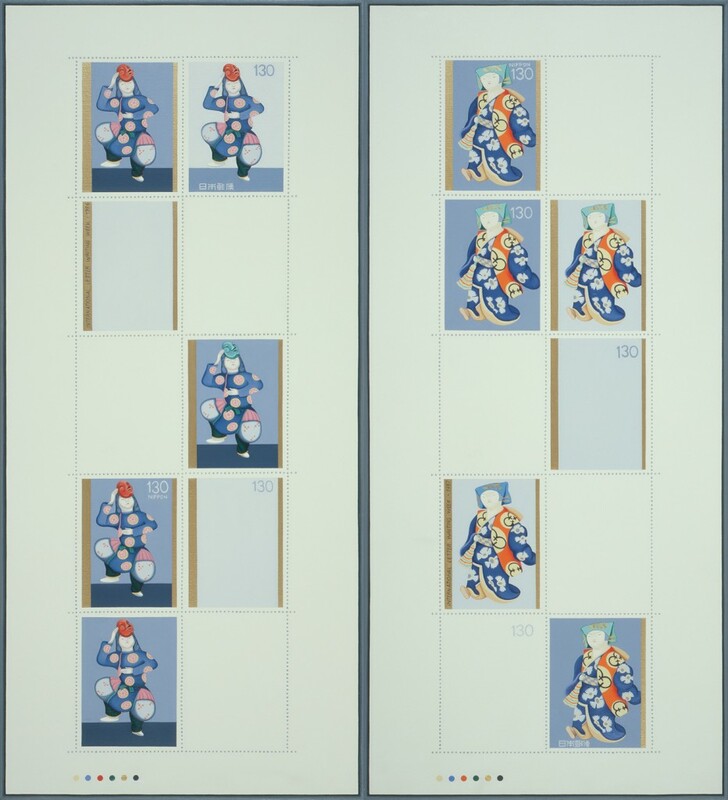 She takes it through various stages within the perforated format of a whole sheet of stamps, much of which is devoid of stamps, leaving empty space as a possible, contemplative subject. Another example is titled Navajo Art: USA 22. 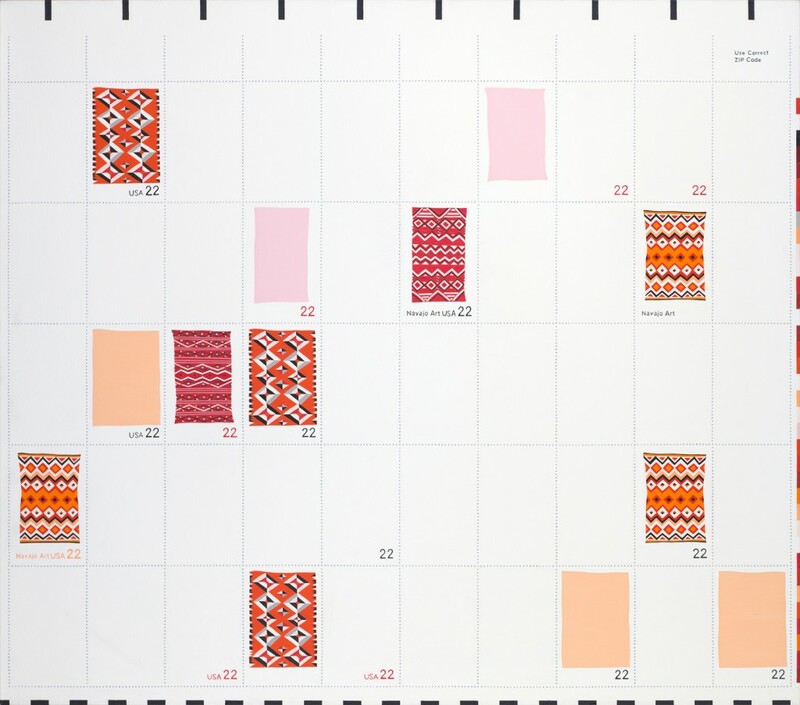 In this case, the pattern of a Navajo design (perhaps a blanket) is dissected and presented in separate stages, making one aware of the fascinating configuration each contains. Again, blank portions, or “negative spaces,” assist in creating an asymmetrical, counterpoint rhythm that heightens visual tensions. Li-lan uses color registrations, usually found at the bottom of a page of stamps, to good effect. These become important pictorial devices – usually color accents at the bottom of the canvas – which set them apart from their common, “taken for granted” existence. Perhaps one of the most unique devices employed by Li-lan is her unusual treatment of frames. At first glance one may not notice that the frames are actually painted on the canvases. They seem so three-dimensional, so real, that it is somewhat startling to find that they are painted illusions of real frames, a trompe-l’ oeil effect that gives the “semblance” a more heightened sense of reality! Each thin, illusory frame is painted in colors and tones that set off the subject to best advantage. It is rewarding to see two such diverse aesthetic statements from father and daughter. Yun Gee’s Cubism takes us back to a point in time when art and science were concerned with a new examination of “reality,” a new quantum equation pointing to the future. Li-lan takes the equation further into the realm of another kind of “breakdown” of form, another kind of re-examination of the “real.” Both are valid ways of representing “reality,” much like the Theory of Complementarity in contemporary physics. The integrity of both artists comes across, respectively, in the consistent use of separate languages, each convincingly distilled and made unique by an individual vision.